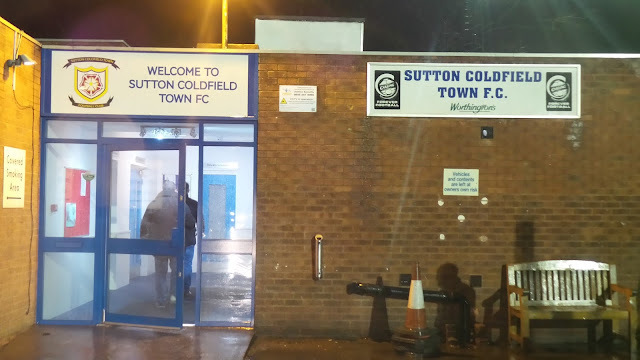 SUTTON COLDFIELD TOWN FC were formed in 1879, though between the end of the war and 1964 they were known as SUTTON TOWN. After playing in various local leagues prior to the war, they joined the Birmingham & District League (later to be renamed the West Midlands Regional League) after the war but generally struggled due to a fire at their ground forcing them to use only amateur players. Fortunes dramatically improved when they switched to the Worcester Combination (later renamed the Midland Combination) in 1965, and after a few mid-table finishes, they were never outside the top half. After two championships in a row in 1978 and 1979 they switched back to the West Midlands Regional League, also winning it in their first season. Three seasons were spent here in total, prior to elevation to the Southern League in 1982. 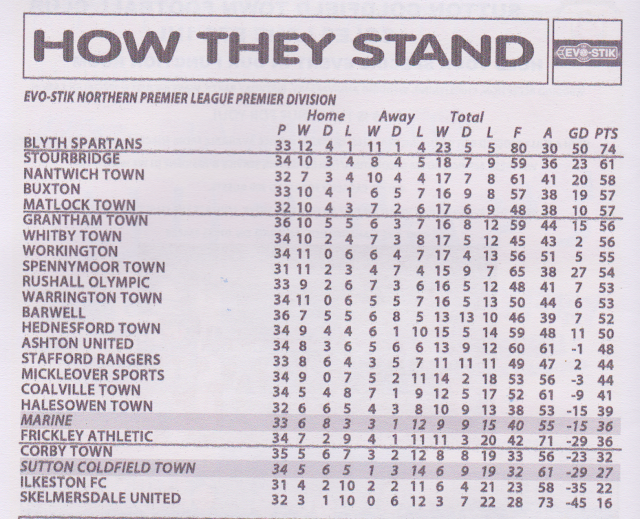 They've been at this level ever since, though, during their time in the Southern League, they spent just one season in its higher league and technically 17th place in the Southern Premier in 1983/84 (at the time a step 2 league) represents their best finish, even though they were relegated. Geography meant a switch to the NPL in 2010, playing in Division 1 South initially. After some near misses, they finally made the playoffs in 2014/15. 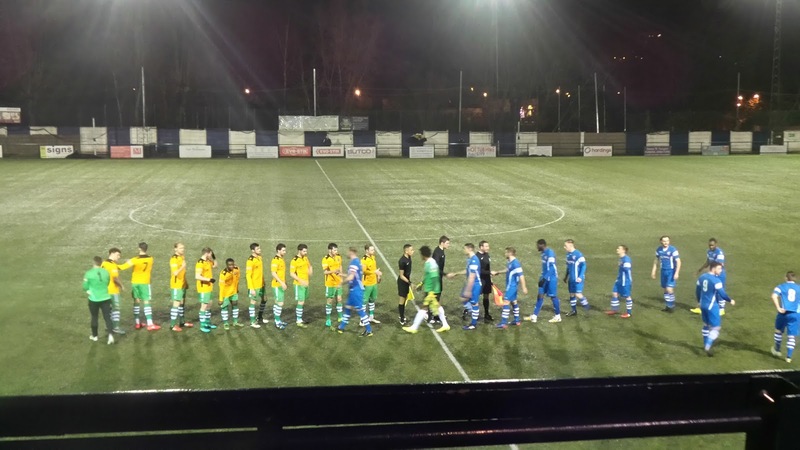 Wins over Newcastle Town in the semi-final and Leek Town in the final saw them promoted to the NPL Premier. Lasts season saw an excellent finish of 12th, though this term has seen a drop off in form and they are currently ensconced in a relegation battle. In the FA Cup, the club's best ever run has been to the 1st Round, losing 2-0 at home to Doncaster Rovers in 1980 and 2-1 away to Bolton Wanderers in 1992. The 2004/05 season saw their best FA Trophy progress, reaching the 3rd Round before losing to Morecambe. In terms of local cups, Sutton Coldfield Town won the Birmingham Senior Cup in 2011 when they defeated Nuneaton Town 1-0 in the final. 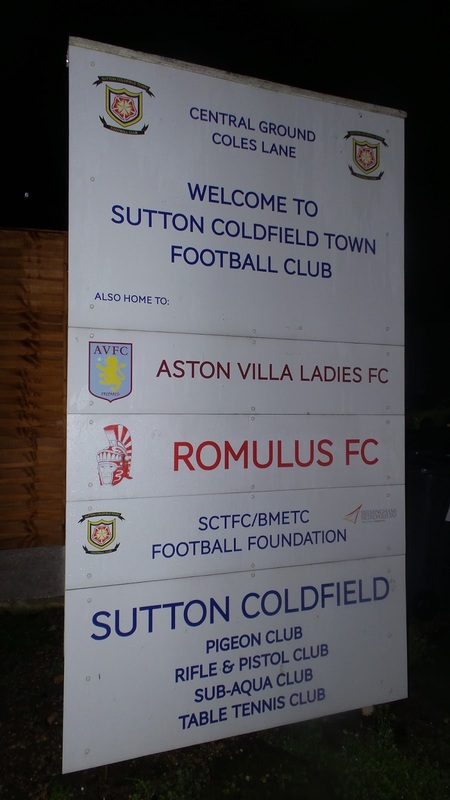 The town of Sutton Coldfield has a large population of 110,000, although most of the town choose to support Aston Villa, which is perhaps why there was a disappointing attendance of just 113 at my second game there, in a game and at a club that deserves a lot more. So it was Non-League Day again. An excellent initiative set up by fans a few years ago, to try and attract new fans to the game. The idea being that during the international break in September, fans of Premiership and Championship teams are encouraged to go and support their local non-league team. 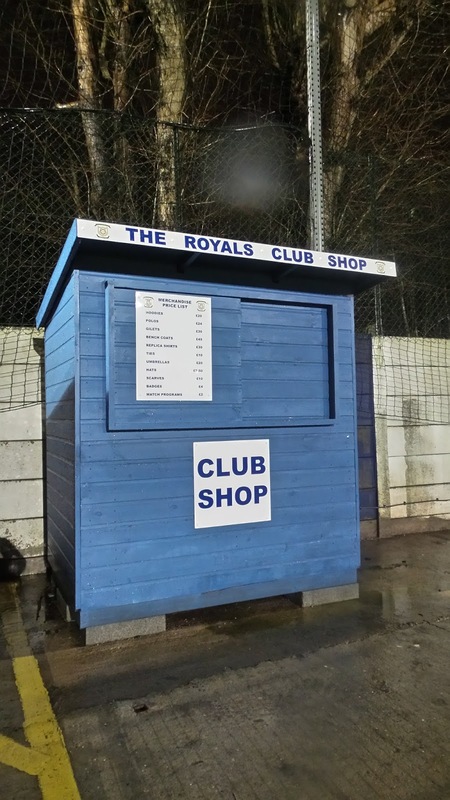 A number of fun promotions have been attempted to try and draw the crowds in, such as pay what you want and special deals for season ticket holders of other clubs. Bungay Town are even PAYING supporters 5p to watch their game this year. As such, the event has received widespread publicity and has introduced many new fans to an enjoyable and affordable way to watch football. Normally, some sort of 3 game hop is organised, where fans have the chance to see 3 games in one day. I did 2 in 2010 with Bishops Stortford kicking off at 12.30. However I had been to Braintree and Chelmsford, so went on to Cheshunt v Southend Manor instead. Neither game was a good advert for non-league football, in fact, the Cheshunt game was one of the worst I have ever seen. This year, there was nothing of the sort organised. I was really keen to do more than one game, having ruled out going to see Wycombe play up at Hartlepool due to cost and having been there twice before. I hunted around, asking on a forum too. Eventually, I got one. 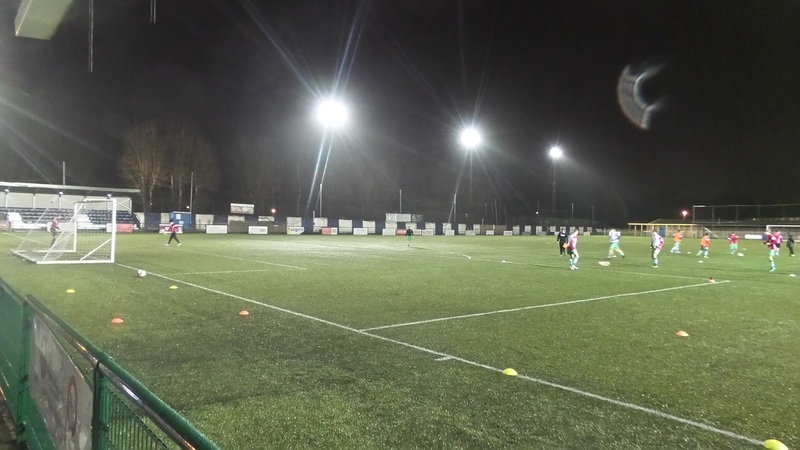 Romulus U21 were due to play Solihull Moors U21 at 10.30 in the morning. 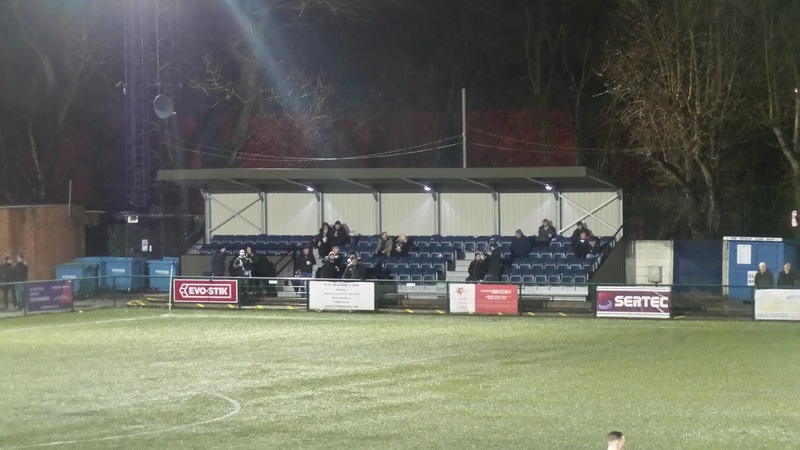 Even better, it would be played at the ground that their first teams share, Coles Lane, due to them having an artificial 3G pitch. 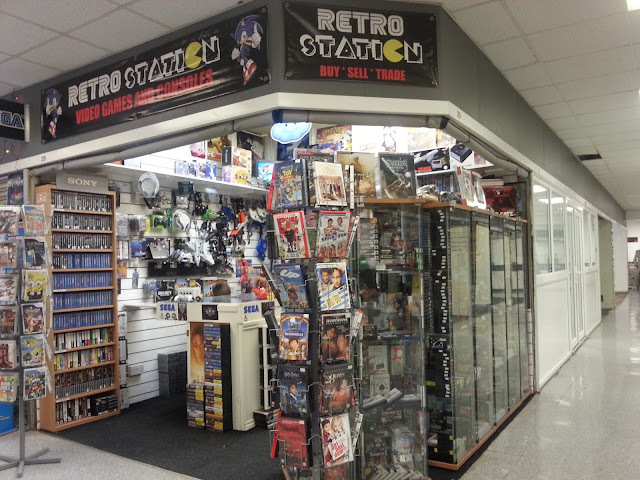 Factor in the fact that there was a retro games shop in Sutton Coldfield that I fancied visiting, and I was sold. The day was made better due to the fact that I had a £15 voucher for the train ticket site that I use. This paid for my Wycombe to Birmingham return in its entirety, the only downside that I would have to be on specific trains - leaving Wycombe at 07:24 and leaving Birmingham at 19:45. However, it saved a lot of money and having bought a trip in the week to Atletico Madrid v Rapid Vienna in November, which is going to cost me over £400 once all my expenses are taken into consideration. I only had to add on a tenner for today's travel, for my travel to Sutton Coldfield, then onto Bedworth for a 3 PM game. 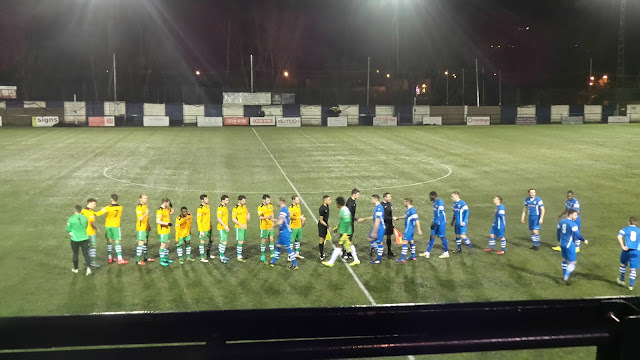 I had seen Solihull Moors play on a couple of occasions last season and their team looked good and their fans seemed to be a decent bunch of people. Romulus meanwhile, I had never seen, nor for that matter Sutton Coldfield who they groundshare with. They do however have a claim to fame that several top players played for them early in their careers, such as Darius Vassell, Zat Knight and Luke Moore. Om the day, I woke at 6.30, probably around the same time as the hardy Wycombe fans who were making the long trip north to Hartlepool. It was a bit tight time wise, so I settled on a breakfast of 4 Fondant Fancies, not the healthiest start to the day. I drove to the nearest road to the station that no restrictions, and walked the 10-15 minutes to the station, stopping to get a paper on the way. I got the 07:24 train from High Wycombe, which arrived in Birmingham just after 9. I didn't have much time to spare, so I got the £6 travelcard that I needed for the day, and made my way across the city to New Street station, about another 15-minute walk. I worked out what platform I had to take, and just as I was getting there saw the train that I needed pulling off. Luckily it was only another 10 minutes before the next one, and after getting that I arrived in Sutton Coldfield around 10 am. I put the ground into Google Maps, but the GPS on that was all wonky and showing me to be on a different road to the one that I was actually on. So I used my Sat Nav app - Co-Pilot, to get me there which it did OK, even if it did keep repeating the instructions annoyingly. I got to the ground just after 10.15 and so took some pictures of around the ground and checked out Facebook on my phone, before taking a seat in the stand for the game. After the game I made my way back to the station, stopping for a look around the town centre, and in particular, the Retro Station shop that sells tons of old computer and console stuff. Soon enough though, I was back on the train to Birmingham, ready to go to my afternoons match at Bedworth. I was glad of my day off after a busy Monday at work, and had a reasonable night's sleep. I lazed around for a couple of hours before walking down town and getting my hair cut. 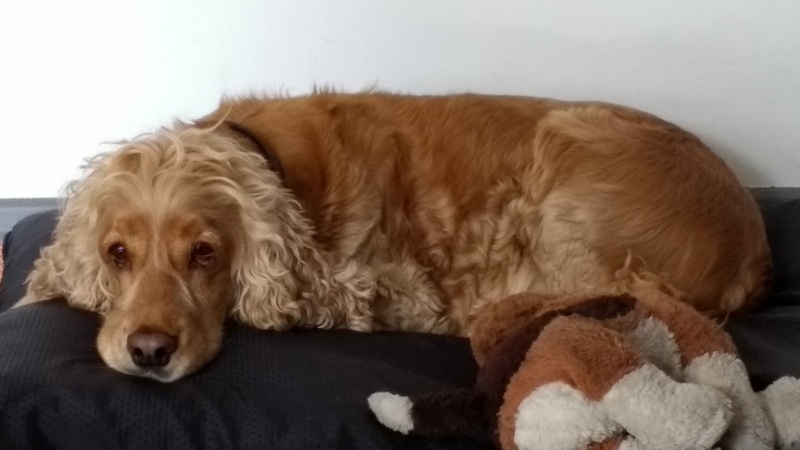 It had been getting a bit long and it was nice to see my hairdresser's friendly dog for the first time in ages. I got some cans of Irn Bru before meeting my Dad and getting a lift home. After having some lunch I checked with Smethwick on Twitter about the game. They were quick in replying, but the news was not good, with rain rendering the pitch unplayable. The case was the same at my second choice - the soon to move Gillingham Town, so I contacted Anwar to see what he fancied. He suggested Coventry Copsewood, Brimscombe & Thrupp or Takeley, all of which I was happy with. I sent out a Tweet tagging all three clubs and waited for a response. There was no firm news coming from either of my three targets, so I passed time by looking at what step 7 grounds had a stand. It seemed the further south you got, the chances of finding anything interesting rapidly diminished. I left around 3.30, still none the wiser as to where we were heading, probably due to the fact that the people that handle the club's Twitter accounts were busy in work. I got to Anwar at 4, just as both Coventry Copsewood and Brimscombe & Thrupp announced that their games were both still on. I decided to go for the former, seeing as it had the 3G backup of Sutton Coldfield nearby. I was happy to revisit this as I'd only been for a youth team game. We made our way up the M40 with the rain stopping and starting. 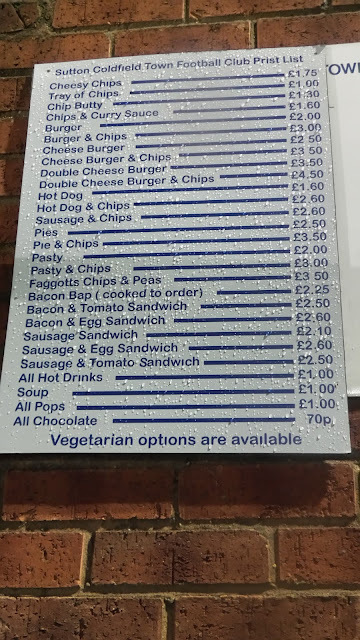 With no further news, we arrived in Coventry at the Empress Fish Bar at 5.40, with me opting for faggots, mushy peas and chips for £4.20. The food was average, but the portions were very good for the price. It was was while we were eating our dinner that Coventry Copsewood was called off, which came as no surprise as the rain had really been coming down heavy whilst we were on the final few miles of our journey. 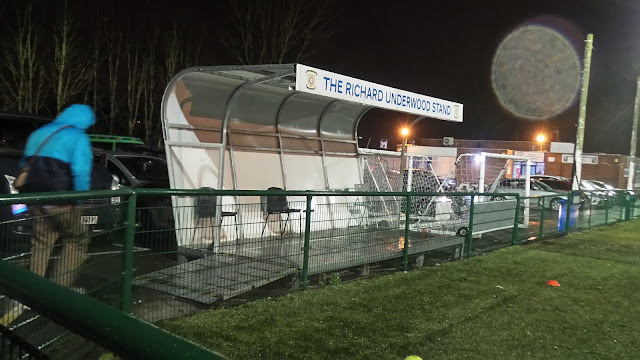 The club apologised, though it wasn't really their fault, as the weather can be a very selfish and arrogant beat at times. I programmed the sat nav for Sutton Coldfield, which was just over 22 miles away. After a journey through the rush hour, I arrived just after 7. Paying £10 to get in, I also got a programme for £2 and some chips for £1, spending pre-match going round and getting some updated photos of the ground. The hosts started the stronger side, with Marine restricted to chances on the break. The opening goal on 25 minutes came when a header hit the post, the visitor's statuesque defence did not react quick enough and Ryan Robbins was there to follow in with a low shot from 15 yards. The second goal came five minutes before the break when a good cross was put in from the left and Michal Townsend capitalised on slack defending, heading home through a group of players from around 4 yards. 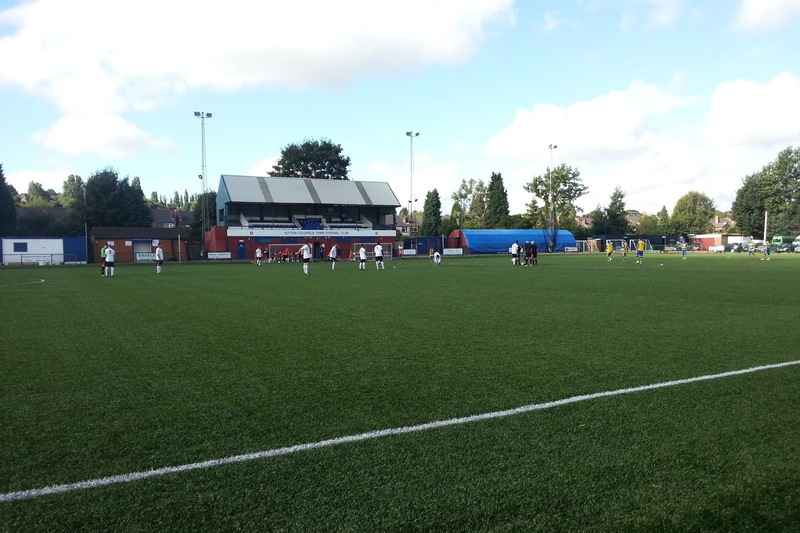 If the first half belonged to Sutton Coldfield, the second certainly belonged to the visitors. 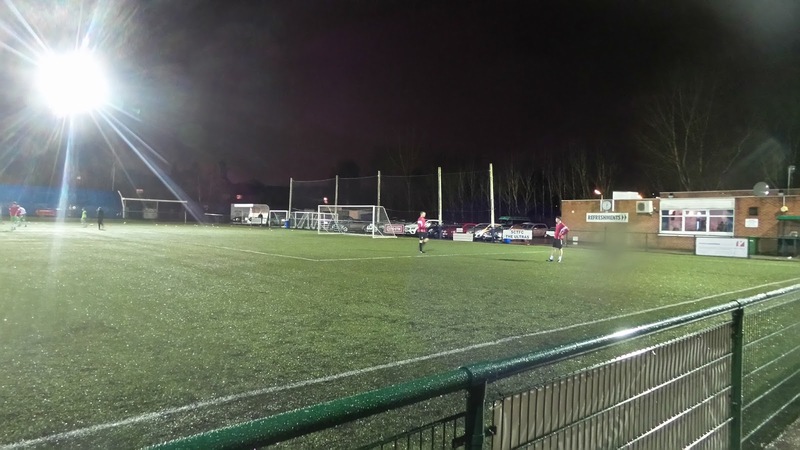 They reduced the arrears in the 48th minute when a free-kick was awarded on the edge of the area which home keeper James Wren could only parry and Peter Wylie was there to follow up from 10 yards. Marine's equaliser four minutes later was the goal of the night, and possibly of the season. A free kick was awarded 30 yards out, defender Kenny Strickland stepped up and blasted a perfect free-kick right into the top right-hand corner, off the underside of the bar. A couple of minutes later Sutton Coldfield were back ahead when the ball was fed in, Marine keeper Paul Phillips hesitated and Aaron Birch nipped in and fired home low from 10 yards. 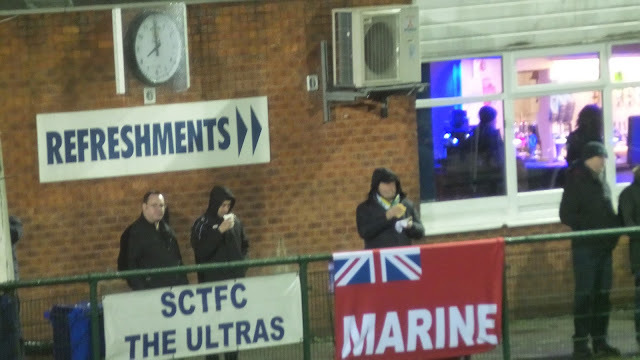 Though Marine had the better chances for the rest of the game, Sutton Coldfield were denied a 4th when a header was ruled out for offside, but there were no further changes to the scoreline. 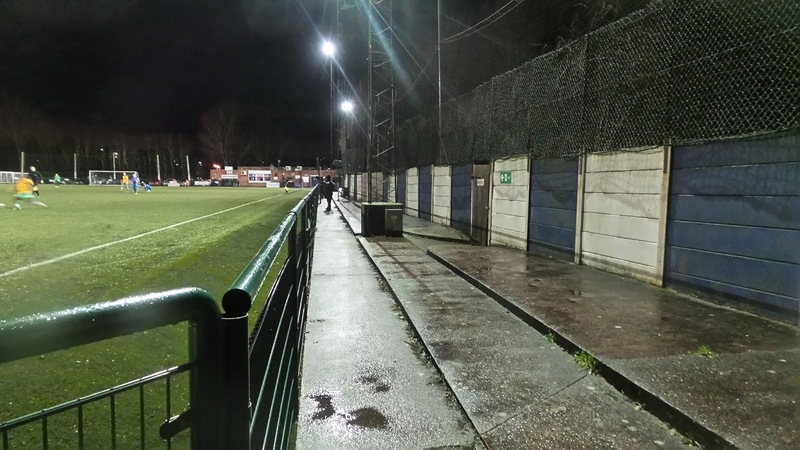 Though a revisit to a ground that I'd done in the past few years was far from my first choice, it did at least have a guarantee of being on when my intended fixture list was decimated by the weather. In all, 8 out of 18 games selected for consideration were postponed, though it seemed we would have fared better if we headed south, and perhaps with more time to research I'd have headed in that direction. 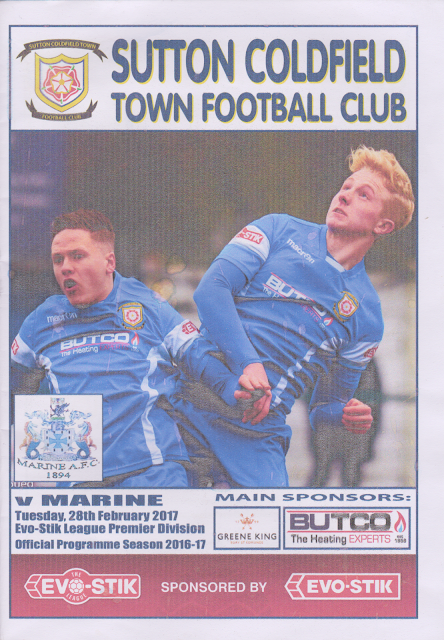 It was nice to do Coles Lane for a first team game though and to get a programme. Our mood was pretty good as we left at 9.40 as Wycombe had gained a decent 2-2 draw at Accrington Stanley to end 6 defeats in a row. It was even better for my Braintree supporting pals, who I will be meeting on my next groundhop as they travelled to Bromley and saw their team to a 5-0 win, which no doubt they will tell me about when I see them for my next new ground at Gorleston on Friday. After leaving at 9.40, we had a good journey home with me dropping Anwar home at 11.10, and getting home myself 20 minutes later. I watched TV for a bit before going to sleep just after midnight. COLES LANE is a traditional non-league ground. 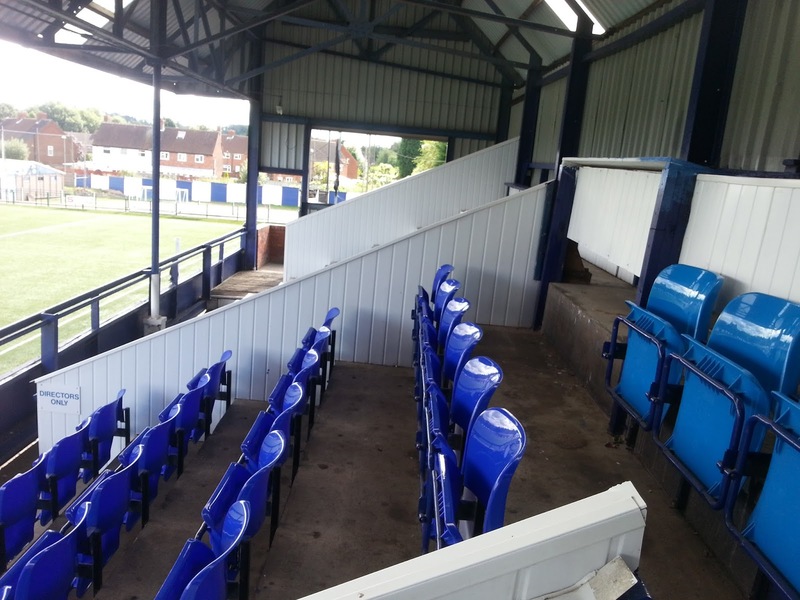 The best part being the main stand which is elevated and offers good views, despite some pillars. 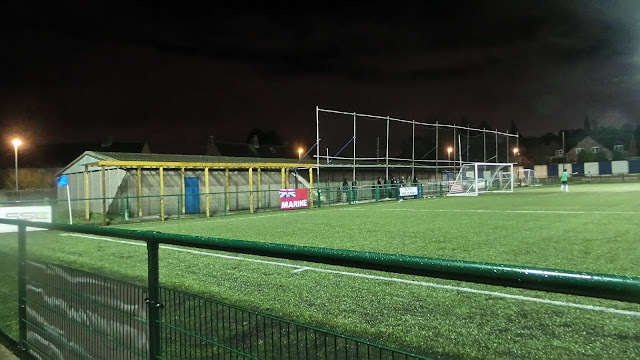 There is also covered terracing behind one goal, and used to be on one side, although since my last visit this had been replaced by a smaller seated stand, presumably to comply with ground grading requirements. The was also an ever smaller addition, a stand on a trailer, designed to provide cover for disabled fans. The rest of the ground is open to the elements. 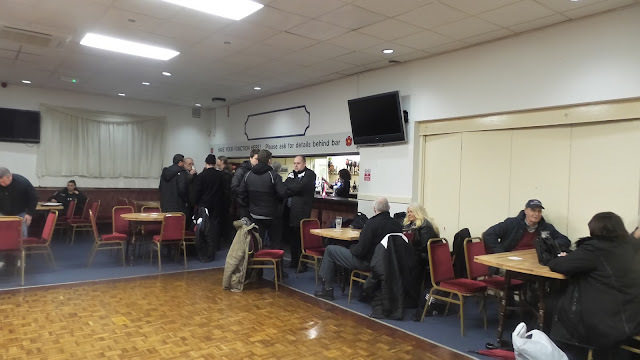 The bar at the stand offers a standard range of drinks, with Strongbow for cider drinkers and a real ale. 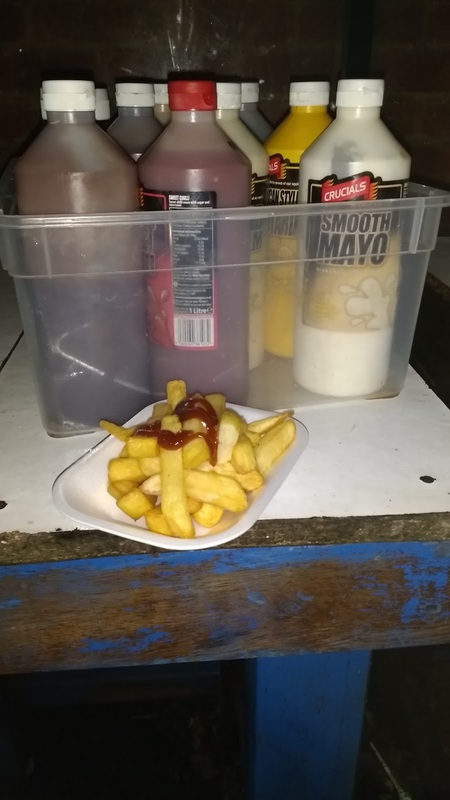 The tea bar is excellent offering a great range of food at competitive prices. The town is around ten minutes walk away and offers a good range of pubs and takeaways. Enjoyed that, was searching for any more Bungay comments and stumbled across this. I've visited Sutton Coldfield once in an FA Cup replay, pleasant club. 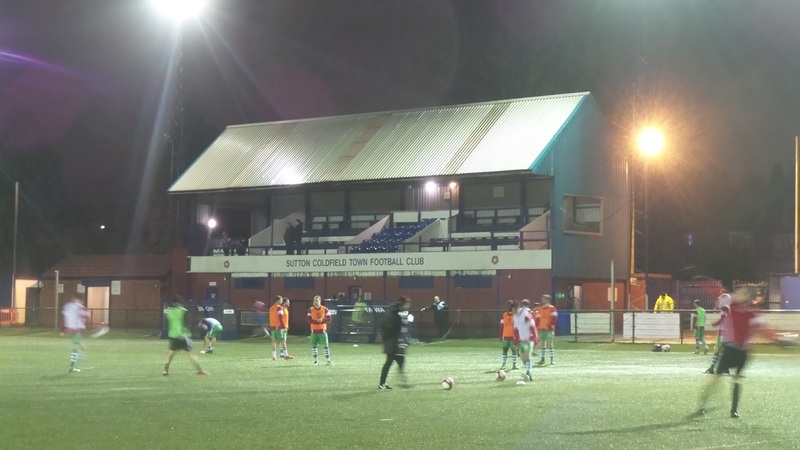 Did you know that Bungay once hosted Wycombe in a competitive fixture?